CEDAR CITY — The Thunderbirds have heard this story before, but this time they’re looking for a more storybook ending. 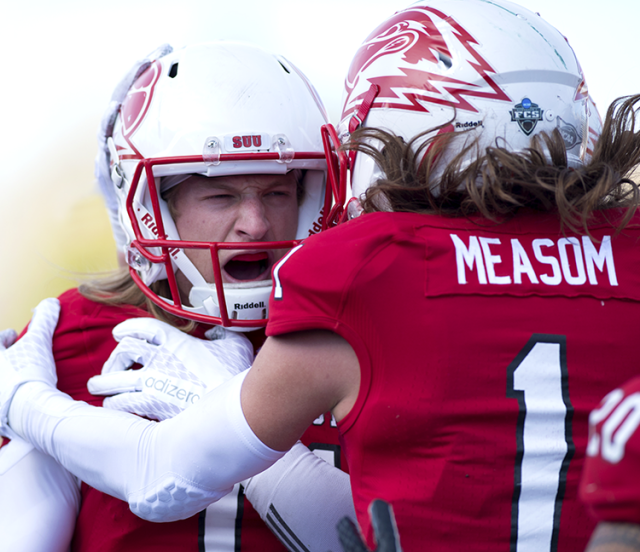 After winning the Big Sky Championship game last Saturday 49-41 over Northern Arizona, Southern Utah University was selected to the FCS playoffs again — where the T-birds will battle Sam Houston State for the second time in three years. SUU played the Sam Houston State Bearkats in the 2013 FCS playoffs and lost 51-20. SUU will look to overcome the disappointment of its last trip to the playoffs. SUU, which leads the FCS in turnover margin, will need to stop the second-highest offensive producing team in the nation if it wants to move on this year. Defensive leader and newly named Big Sky Defensive Player of the Year James Cowser knows that it won’t be easy. 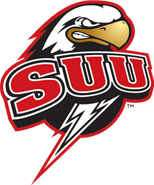 SUU won the Big Sky Championship a week ago against Northern Arizona to put them in the playoffs, but a tough draw waited as the Thunderbirds were placed in the matchup against the No. 6 team in the country. This game could potentially become a shootout as both teams are very balanced in passing and running the ball. SHSU averages 264.5 rushing yards per game, 280.1 passing yards per game, and 43.8 points per game. SUU averages 270.1 passing yards per game, 166.7 rushing yards per game, and 35.1 points per game. From the defensive side of the ball, SUU looks better. SHSU allows 24.5 points per game on average while SUU only allows 18.9 points per game. The T-birds have forced 10 more turnovers than the Bearkats and also have turned the ball over six times fewer than their upcoming opponent. SUU’s second ever playoff game kicks off at 1 p.m. on ESPN 3. For other viewing or listening options, visit suutbirds.com. “We’re looking forward to going into Sam Houston and playing our best,” defensive back Miles Killebrew said.